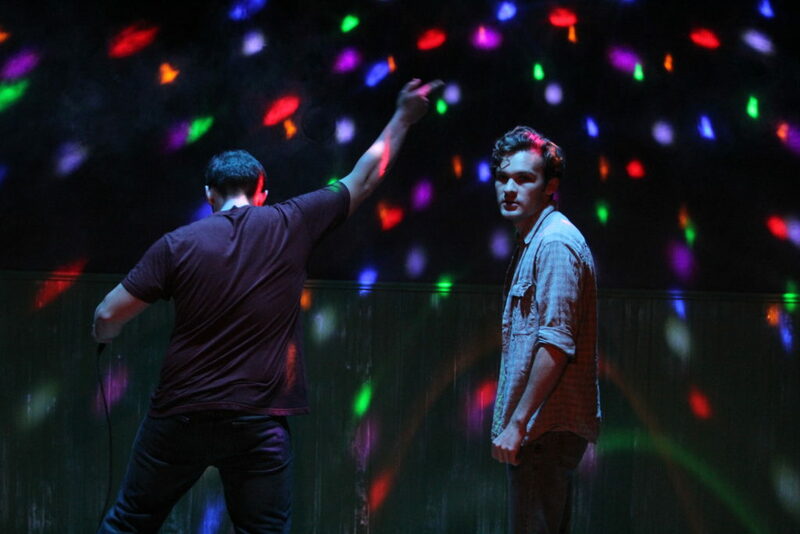 Playwright Alex Lubischer’s Bobbie Clearly is angry and intense, but also darkly comical. This documentary-style piece centers around a small town in Nebraska coping with the murder of a teenager over the next decade. Presented by Steep Theatre and directed by Josh Sobel, here are five reasons you’ll want to catch this world premiere. Steep Theatre is known to deliver some of Chicago’s best acting every season, and Bobbie Clearly is no different. Don’t miss breathtaking performances from some of Steep’s ensemble, including Melissa Riemer, Joel Reitsma and Nick Horst, and guests artists like David Fisch, Erika Napoleteano and Carson Schroeder. 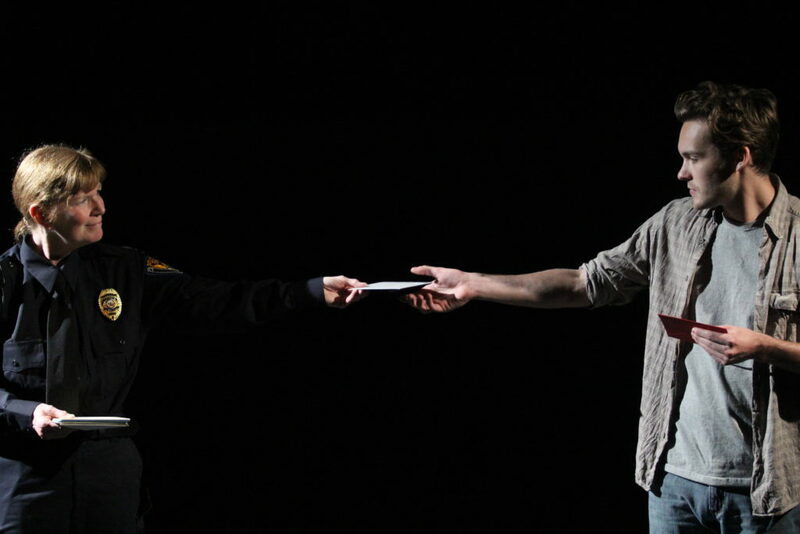 Melissa Riemer and Carson Schroeder (l to r) in Bobbie Clearly at Steep Theatre. Photo by Gregg Gilman. You know that confusing feeling where you don’t know whether to laugh or cry so you sort of end up doing both? Yeah, Bobbie Clearly will you have you doing that for at least one hour. Probably two. Enjoy your catharsis. 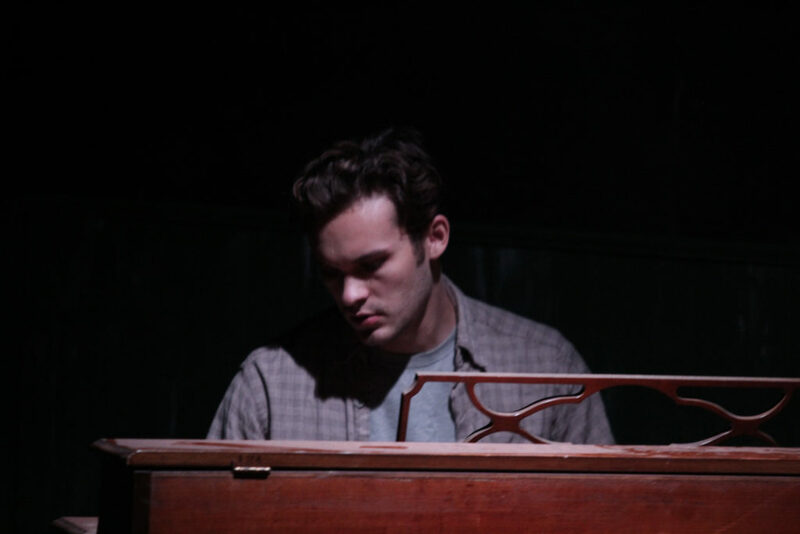 Nick Horst and Carson Schroeder (l to r) in Bobbie Clearly at Steep Theatre. Photo by Gregg Gilman. Did we mention that a recurring theme in the show is the yearly talent show? Well now we have. Fortunately, though Bobbie Clearly gets dark and heavy, it also provides some respite in some truly magical dance routines. 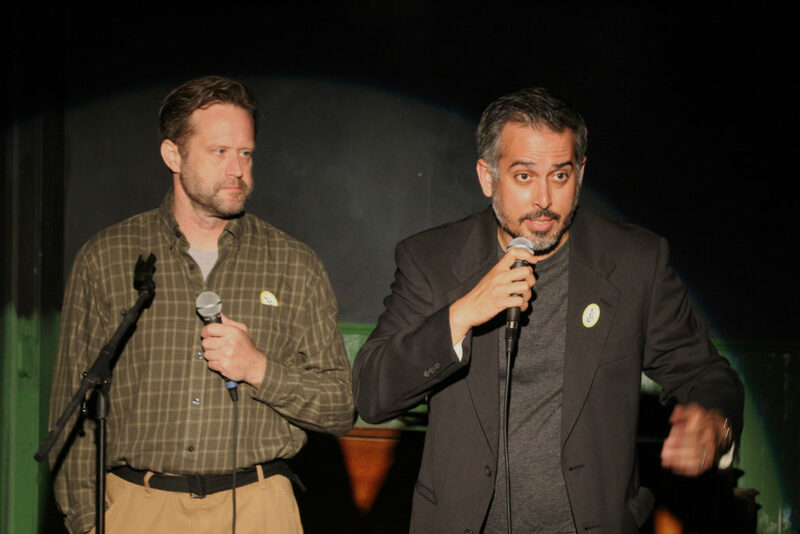 Tom Jansson and Miguel Nunez (l to r) in Bobbie Clearly at Steep Theatre. Photo by Gregg Gilman. Supporting characters Megan (Paloma Nozicka) and Meghan (McKenzie Chinn) are a master class on how to stand up for what you believe in… even when your best friend doesn’t have your back. 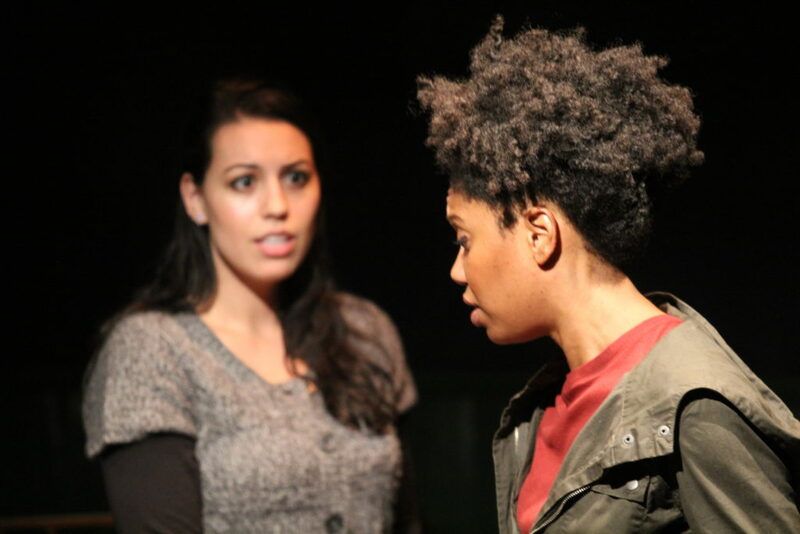 Paloma Nozicka and McKenzie Chinn (l to r) in Bobbie Clearly at Steep Theatre. Photo by Gregg Gilman. Bobbie Clearly tackles some really tricky issues. At its core is a person trying to atone for his past actions by moving forward to have a positive impact on his community and the world. Conversely, his community, collectively and individually, must decide whether or not they can forgive. Carson Schroeder in Bobbie Clearly at Steep Theatre. Photo by Gregg Gilman. Have you gotten the chance to see Bobbie Clearly? Join the conversation and let us know what you think on Facebook and Twitter!